Suffice it to say, these last five months have brought some big changes. As some of you may recall from previous posts, I have been battling a medical diagnosis that put me in a dark place----emotionally, mentally, physically. I thought it had drained me. I thought it had broken me. But I've pulled through, thanks in large part to the newest addition to our family. 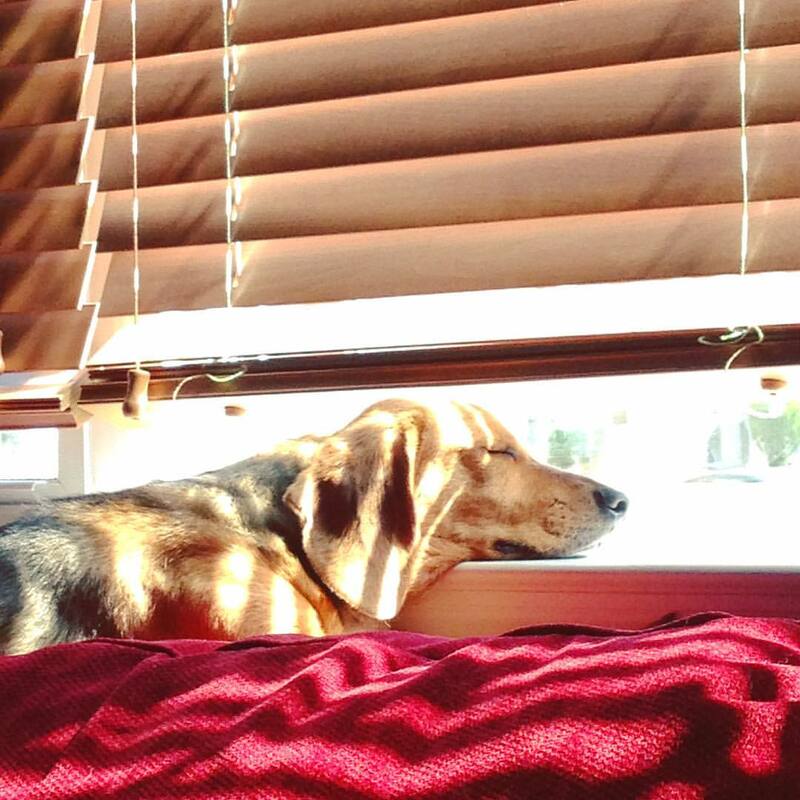 Growing up in a household that always included a dog or two, I had come to realize that a part of that emptiness I was feeling could be filled by a furry family member. James and I searched high and low, did research on the risks and rewards of pet adoption, and put several applications for available dogs in hopes of finding the one for us. Thanks to The Burlington County Animal Alliance, we found him. 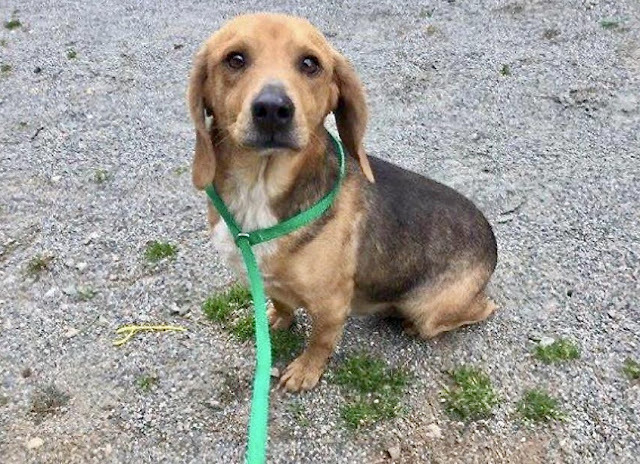 At the time of his rescue, this sweet-faced Beagle/Dachshund mix was known as 'Atlantis.' One look into his eyes and we just knew he was meant for us. After almost two months of uncertainty as to his availability, we got a message that would change our lives forever. And just like that, I came home from work to find James lovingly tending to a trembling, tired dog that was curled up on our living room floor. His eyes still carry a sadness to them, one I hope that he can forget. It breaks my heart to think that someone could harm or abandon this sweet boy. But after traveling some 300 miles, spending almost two years in transit, in shelters, and with foster caregivers, he is finally home with us. And something tells me he likes it here. 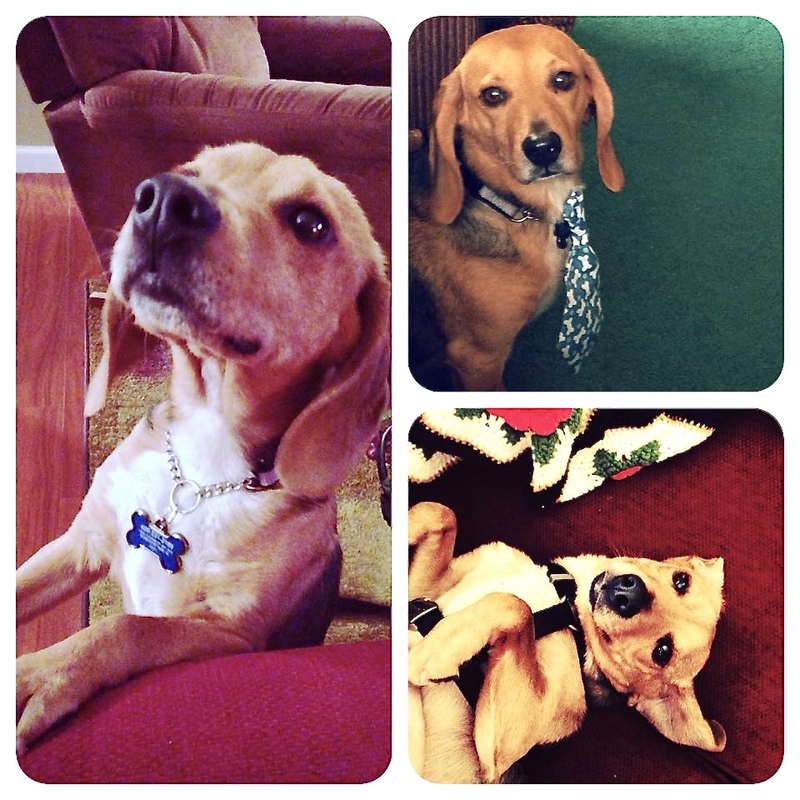 So without further delay, I formally introduce you to our loving rescue Beagle, Bernie. He plays with his toys, takes naps in the windowsill, and a is a professional cuddle provider. So please, if you are able to open your heart and your home to an animal that will care for you as much as you care for them... adopt, don't shop. We may have saved a secondhand dog, but in a lot of ways he saved us. Dogs are extremely empathetic animals. They know when you are ill, or sad. And for the record, let me just say that it's pretty hard to be depressed when you're greeted with affection, charmed by a playful demeanor, and reminded every day how lucky you are to have found such a loyal companion. James and I couldn't be happier with our decision to adopt our Bernie. And I think Bernie might just feel the same. I too think it was meant to be, this finding of each other when you both needed to be found. I think it's wonderful, and I think this little fella is adorable! Knowing you and the things you do he will be seen in future posts helping you find the bargains. Thank you, Margaret. I agree that there was something fortuitious and fateful at work here. I doh hope that Bernie will help me 'sniff' out bargains in the future. Thank you, as always, for reading! I love dogs so much I can not put into words. He is so cute and adorable. Take lots of care of him and give him lots of love.